Last year I reviewed a Spindel laundry spinner, and raved about how quick and easy it was to use. I continue to recommend it for those with no tumble driers, and especially when it rains and there’s no space for a family’s clothes horses around the house. This week, I’m giving away a Spindel worth R1 599, to make your lives easier, and leave you high and dry (in the good sense, obviously). A finalist in the 2013 Fairlady Consumer Awards, the Spindel uses spin power instead of heat to remove up to 80% of the leftover moisture from garments in just three minutes so that laundry dries in a fraction of the time. It also uses 100 times less electricity than tumble drying and is safe for all fabrics, even delicate wools. Spindel is available at selected appliance stores at a recommended retail price of R 1 599 with a 12 month warranty. For more information please visit www.spindel.co.za. Simply comment below, and your name will go into a draw. The giveaway closes on Friday 25 July at 9am, after which the winner will be announced on the Rattle and Mum Facebook page, and emailed. The giveaway is open to South African residents only. For an extra entry, tweet the following link too. Spindel would be very handy to have at home in the next few months with a baby due in October. Plenty washing (and drying) ahead! Thanks. Wow, i would LOVE one! Would Love to win this because I don’t have a tumble dryer and especially when it rains & it’s to cold & the washing takes forever to dry. Awesome competition. With Warm Regards, Best Wishes and Sincere Gratitude From Kim. We really need this! We have no space for a tumble dryer so we just hang clothes on chairs, awesome prize! Love that this saves on electricity and time! Me, me, me!! This may sound like an exaggeration, but a Spindel would change my life. My living room looks like a laundry. I feel like the mountain never gets smaller. Fingers and toes crossed for this one! Woweeee this looks like a fabulous appliance! Looks awesome. Especially for summer here in Durban when it rains so much. Save electricty. I would live a Spindek, it takes ages to dry our clothes in the freezing Free State. My mum has always wanted one of these and I’d love to win it and present it to her. She would be really chuffed! What an awesome prize! I would love love love something like this. Fingers crossed. I’d love to win this! Our Dri Buddy died and have no way to dry baby’s clothes on these stormy days. Please pick me… With the amount of laundry in my house I can so with this. Brilliant electricity, time saver. Fingers crossed! This will really help with washing time. Plus we have been putting in methods at home to save electricity and teaching this to the kids, so this will be great and help us save electricity further. With a newborn and a very busy toddler, the spindel would become a loved member of my family! 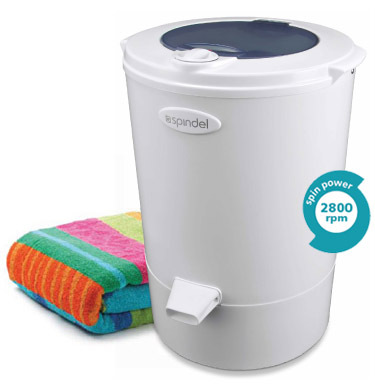 The combination of unpredictable winter weather in cape town, the increase in electricity and the never ending loads of baby laundry…Spindel would be such huge help in my home! I soooo need this. I would love to win the spindel. My one friend has one and she said its a must have. WIth my bday coming up tomorrow this would just be awesome to win. I do washing every single day. It just never ends with my kids always dressing. And it just doesnt dry in this weather. And guess what im doing now…. DOING WASHING. I really, really, REALLY need and want a SPINDEL in my life. <3 😉 Holding thumbs. I’ve got a tumble dryer and I would still use this more!! With a family of 6, this would make laundry so much easier to manage! I have been trying to get my hands on a spindel for ages now, something always comes up so I never have the money to purchase it. I would love to win this, it would do a world of wonder for my laundry time. This would be great for my cloth nappies!!! I would love to win the Spindel. This would be awesome especailly with two boys in school and a two year old, the washing in this Cape Town weather never dries. This woud be awesome so I can stop having to carry the clothes horse in and out of the house.. sometimes three or four times for the day when the sun comes out and then it starts raining again so back into the house and so it goes on…. I definitely meed one of these! My parents had something very similar any years ago but it was a manual spin. It worked so well. I have been looking for something like this for so long now and would love to win one! 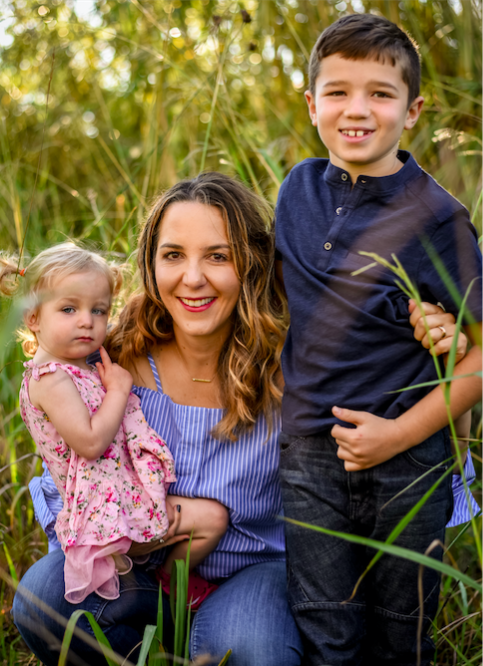 The best for a single working mom. Will save lots of time, power and effort. More time for yourself and the kids. Feels like the laundry has doubled in the jump from 1 kid to 2, this would be so useful! Eee! I soo need one of these! Just had our first baby and the laundary has massively increased! In desperate need of a spindal to survive the wet Cape winter. This is one Awsome Prize that could really come in HANDY, seeing that i have no carport or laundry in my complex. What an awesome price!!! Would love to win this! EEEK- Seriously need this for baby clothes! WOW! what an amazing find and absolutely MUST HAVE….PLEASE let me be the lucky one! Oh yes please – add me to the list would love one! I would love to win this – really need to help save electricity in my sister’s home. Wow really need one of these with small children in the home. Great invention. A fantastic prize. Would love one of these. I really need to get one of these! This would be so great to win always battle with the washing when it rains or like the cold days we are having at the moment in Gauteng. What an awesome prize! I could really use this! This will just be so useful! Would mean a lot for our electricity bill!! Fabulous prize! Would be a great help. I really would love to win this! We’re moving into our new 2 bedroom place and there is no space for a tumble drier in the kitchen. This would really help us save time, money and space! Love to win. I actually have a tumble dryer but this would save electricity. that would be the best for me to win!! iusually have to wake up 2-3 hours earlier when i wash nappies and because my hubby is at sea mopst of the year i am soo sleep deprived but this will help me soo much!!! hope to win this!! I would love to win a Spindel. It would be a huge help. One of these would be a real help in getting school and sport clothes dried in time. I would love one, my electricity bill is really getting out of hand. Awsome Prize. Great for the cold rainy weather. My mum would love this. Nice….saving time and money….I could do with that!!!! I like nature. I like moonlight nights. I like preparing food and leisure. A perfect day is when I wake up early and still receive breakfast in bed. I do not like washing and I repeat; I do not like washing and even less, wet laundry. a Spindel laundry spinner will fit me perfectly! THANKS! I need this my washing takes 2-3 days to dry.please let it be me. I love the fact that it is a huge electricity saver. With a baby due in September I see a Spindle coming into very good use! Excellent idea to help cut costs. also to assist the enviroment. Two thumbs way up. This would be my lifesaver!